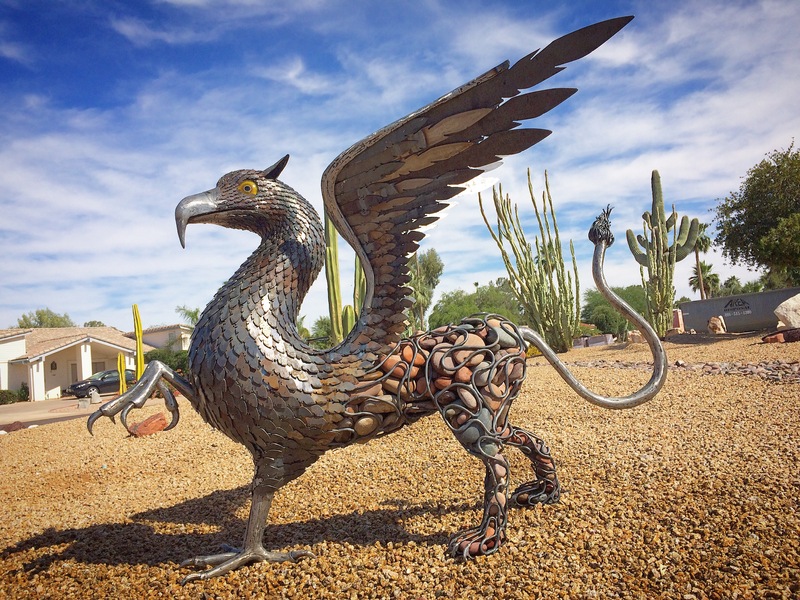 McCallister Sculpture | Uniquely inspired, handmade sculptures by Scottsdale artist, Ryan McCallister. 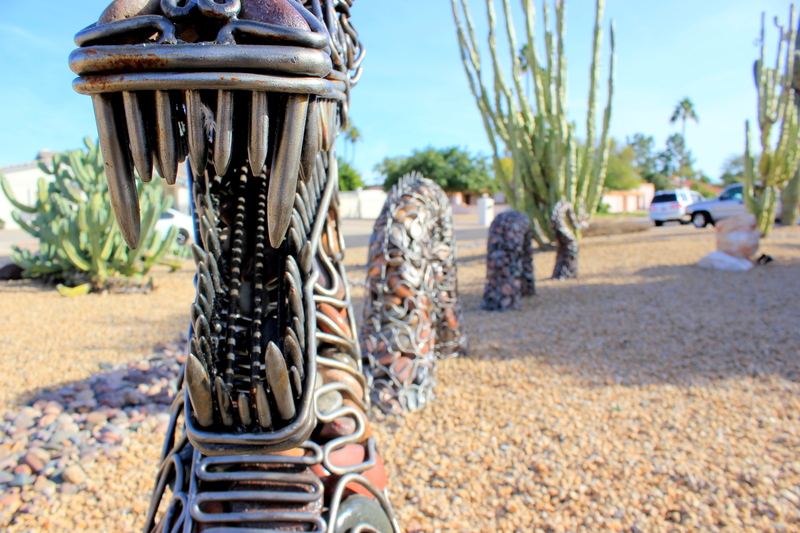 For inquires and art commissions, please contact info@mccallistersculpture.com. Thank you all for your continued support! ‘Jormungandr’ (Norwegian Viking Dragon) in its entirety! My Japanese Dragon portfolio highlights the intricacy and meticulous attention to detail I applied from every angle. I hope it also conveys the hard work and high quality I’ve invested in creating it! Would love to know your thoughts and feedback in the comments below. 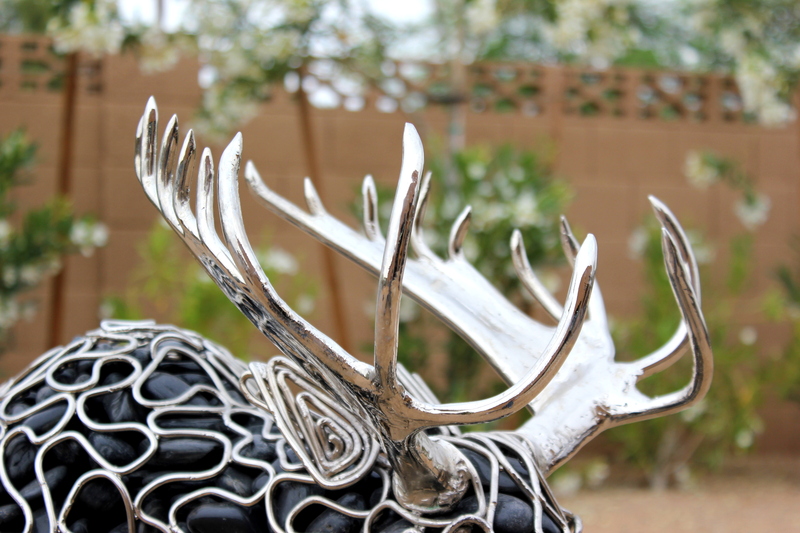 The sculpture stands approximately 13″ x 14″ x 24″, perfect to display on a tall pedestal or grand platform that needs a focal point. The steel base offers reliable support for the 12lb. Japanese Dragon. 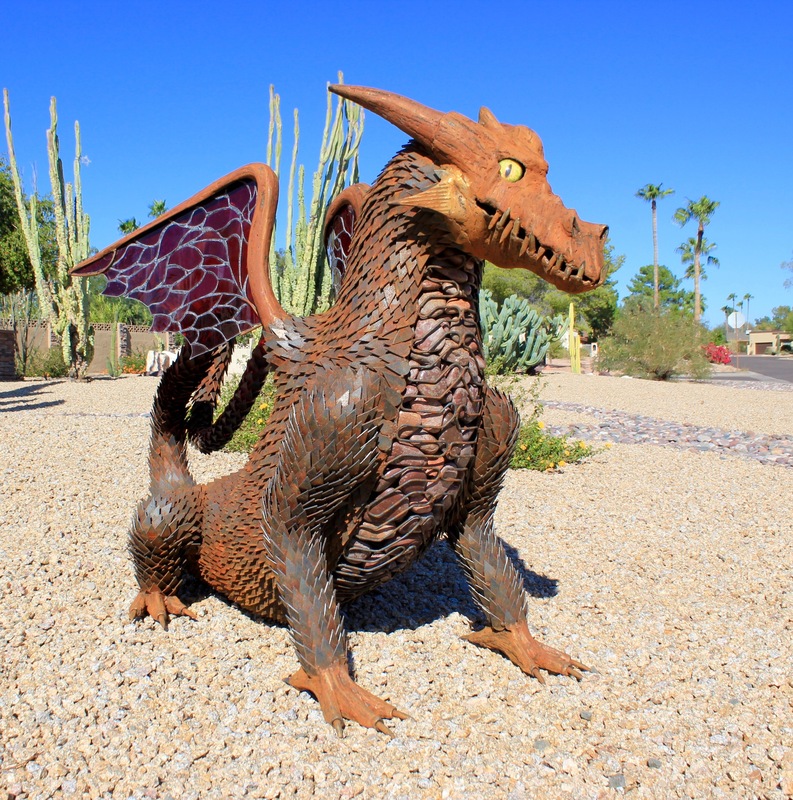 McCallister Sculpture’s Japanese Dragon is currently in rotating galleries, but is available for purchase. Please email info@mccallistersculpture.com for more information on custom pricing and commissions or send your thoughts below. 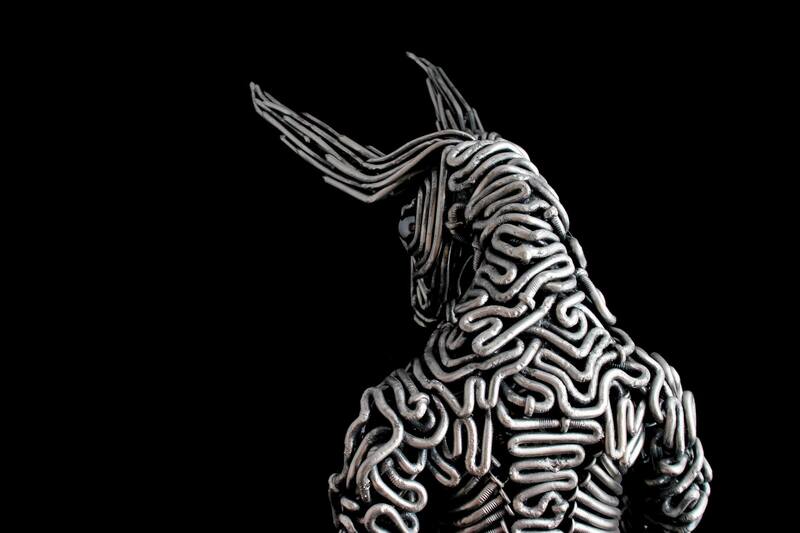 My latest Minotaur sculpture is comprised of over 300 steel nails, and this photo is able to highlight all the hard work and details I put into its creation. I love this photograph because it conveys an ominous feel. 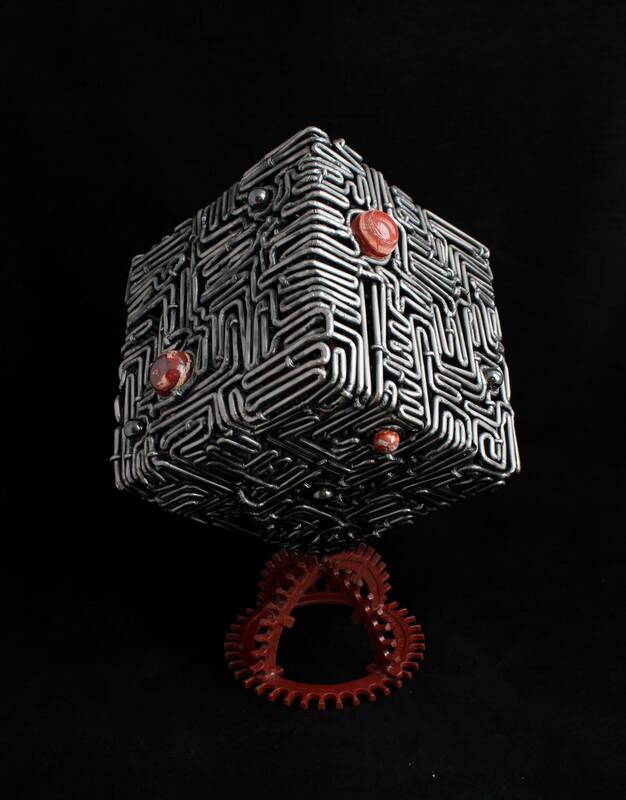 As the Minotaur looks over its back, the viewer is drawn to its eyes made of Hematite (Hematite comes from the Greek haimatitēs, which means “blood-like”) as if to say “Even if you kill the Minotaur, you’ll never escape his labyrinth”. How does this photograph make you feel? Would love to know your thoughts. Thanks! 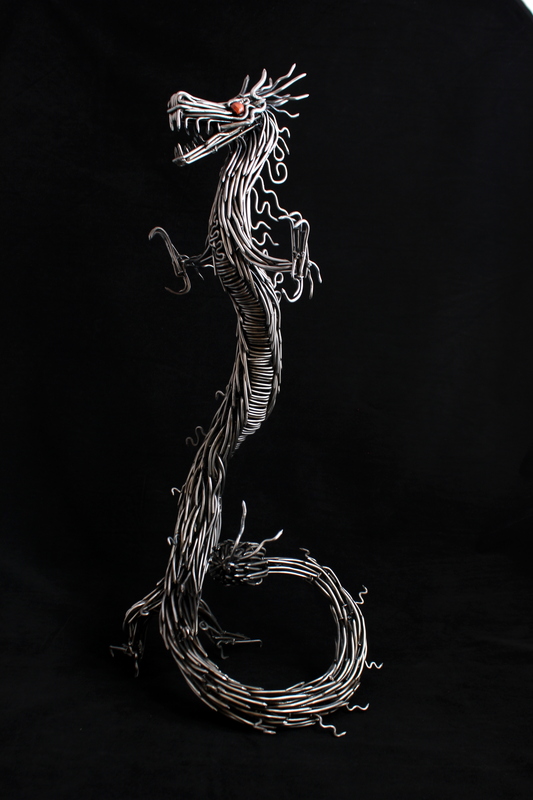 An update on my previous post (Metal Dragon WIP 9/1/15). 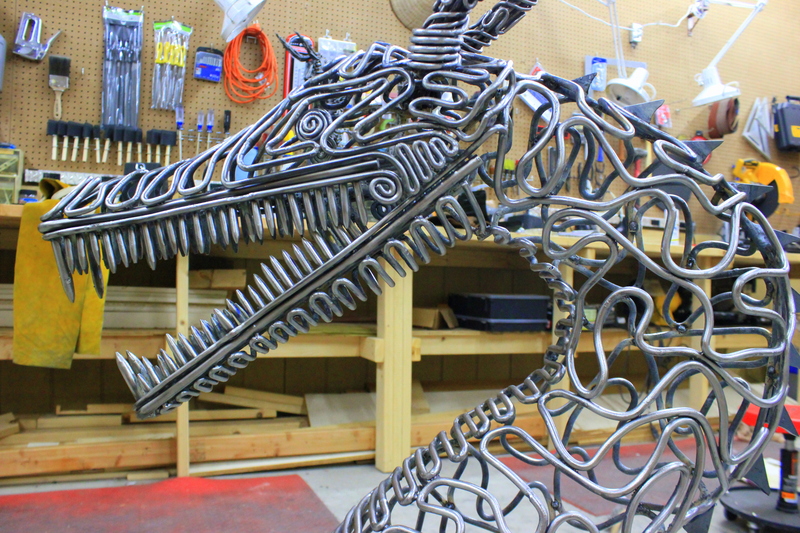 Here’s the completed photo of the Viking-inspired Dragon head – part 1 of 3. Couldn’t be more proud of the progress thus far. Like, Love, Hate it? Would appreciate your thoughts! Take a look at some work in progress shots I took via Instagram. (Make sure to follow me for insta-photo updates.) I’m also excited to announce that I’ll be posting daily time-lapse videos of my work in the studio, so please stay tuned. Highlight show of the dragons face. Wire wheeled just some to highlight some of the bending. Thanks for taking a look, would love to hear your thoughts on her! Will post more photos and update here. 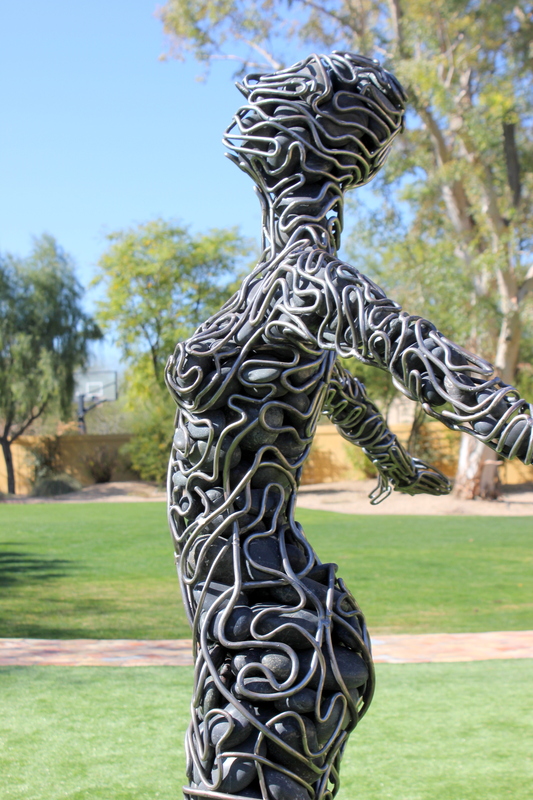 Update 2016: As promised, I’ve finally posted a new video and more detailed photos of this woman sculpture entitled “Ascendance” currently located in Scottsdale, Arizona, USA. 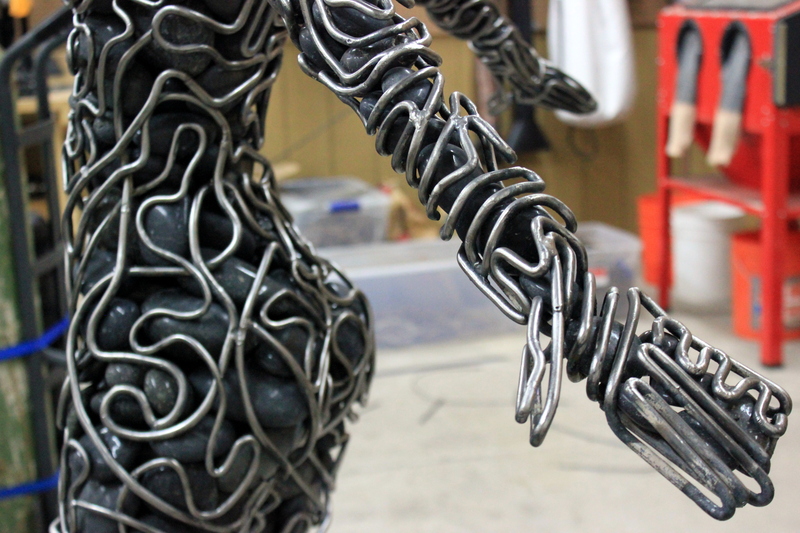 Please check out it out here: ‘Ascendance’ by McCallister Sculpture. 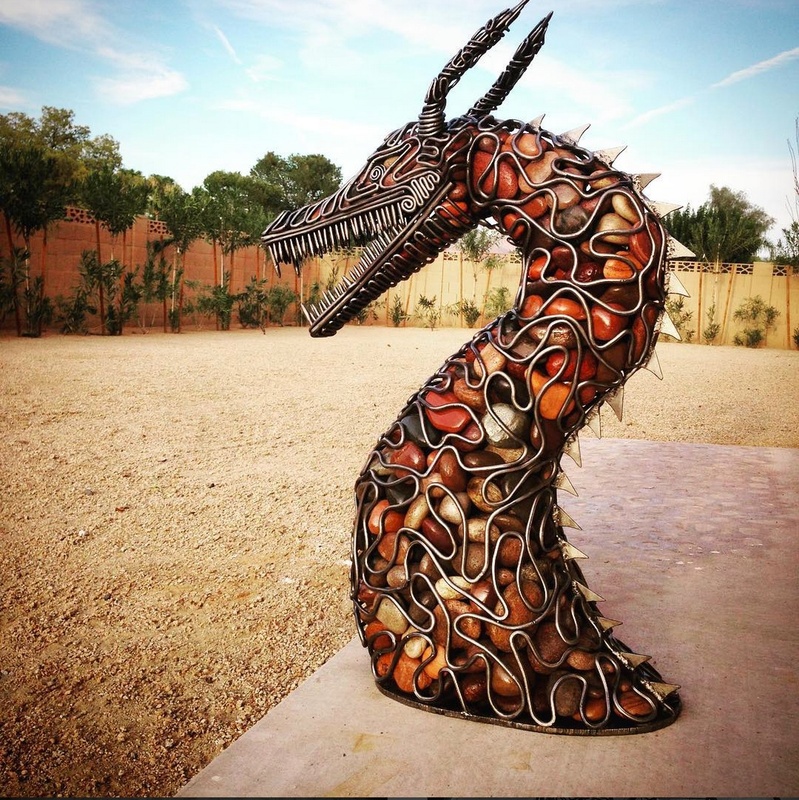 This untitled metal dragon will be a three part installation, designed to be a one-of-a-kind outdoor sculpture (for dragon lovers/ mother of dragons alike! I’m lookin’ at you Khaleesi.). This is a preview of the dragon head, teeth, eyes, and a little bit of the horns. I hand-constructed a combination of quarter-inch and half-inch steel rods, and used oxygen-acetelyne to bend the metal and a MIG arc welder for the joints. Stay tuned for more updates, and please let me know what you think so far! For my first bronze pours I decided to do some more simple designs so that I can get used to the process and not over complicate the form until I’ve mastered the Lost Wax bronze pouring’s limitations. This two piece series was my imagination of what genetically modified produce could look like. 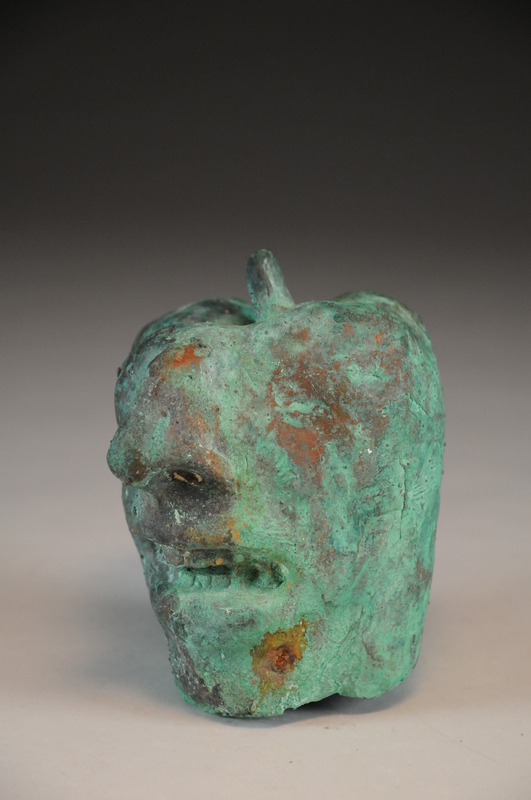 Having a face emerge from a green apple would disturb anyone, just like most terribly misguided scientific modifications. The follow up piece was taken to an even further nightmarish extreme where a white pepper grows thumbs for appendages and brandishes a sinister grin. These bronze bells were produced with the Lost Wax Technique at the University of Tampa bronze foundry. 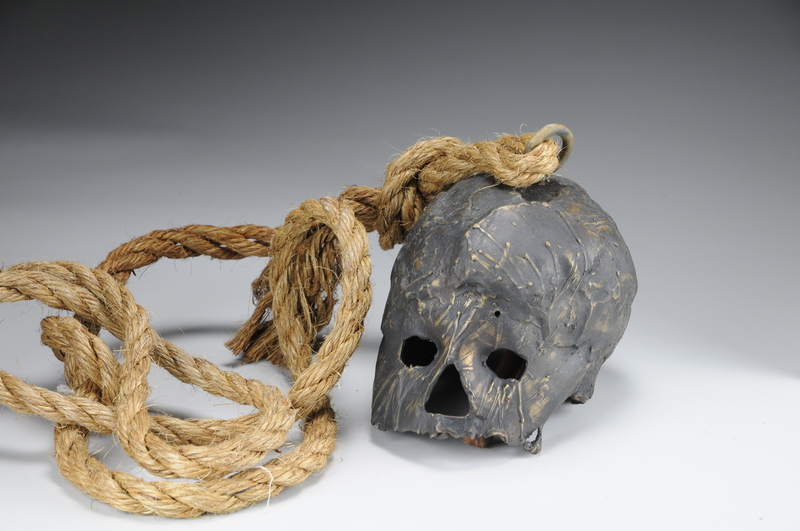 I hung them from thick rope that I antiqued with brown shoe polish, and put them on rusted pulleys. The viewer could now pull on the bells and bring them to whatever level they desired. Their deep and rich tone made everyone want to take a turn to ring the bell which was the interaction I was looking for. 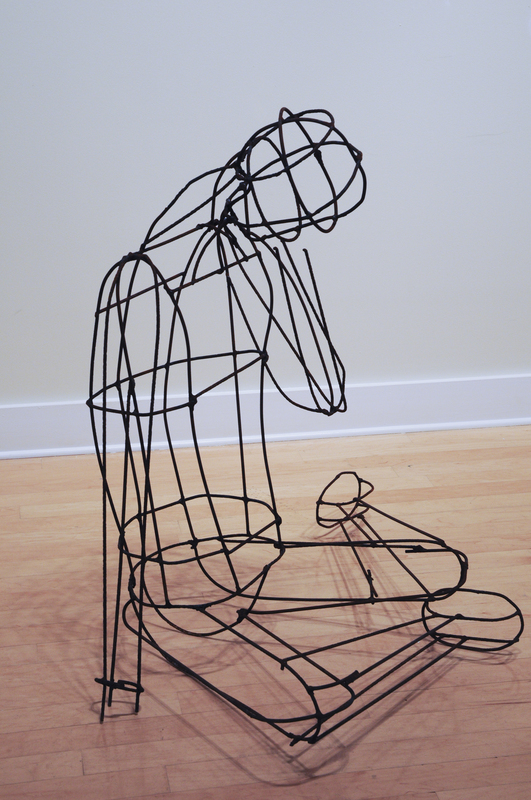 This was my first Oxygen Acetylene sculpture and I measured the contours of my body and welded a theatrical pose of defeat and humility. At first I was going to fill him in with more welded rods but I decided there was something better about him being transparent. I left the steel outside for weeks to allow it to rust and become a rich brown color so it would contrast the gallery which is clean and white. 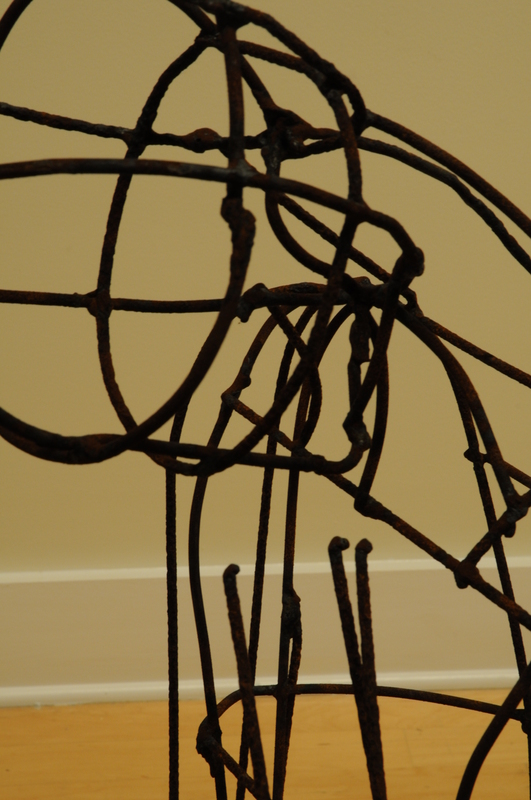 All the metal rods were salvaged from scrap heaps from the back of the sculpture studios at the University of Tampa. There is something beautiful about reusing the failed projects, or the discarded leftovers and creating something new and provoking.